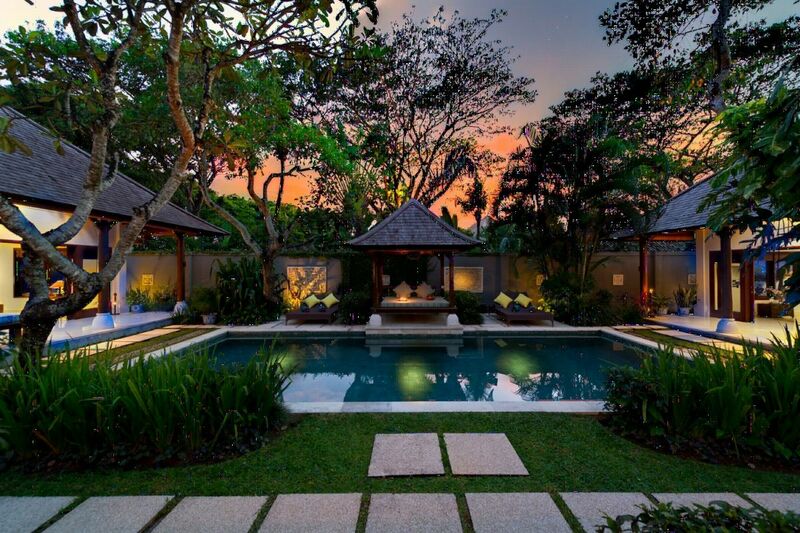 Located a few steps away from the gorgeous beach of Canggu, on Bali’s southwest coast, this charming 3 bedroom Kedidi Villa will make you fall in love with Bali’s way of life. 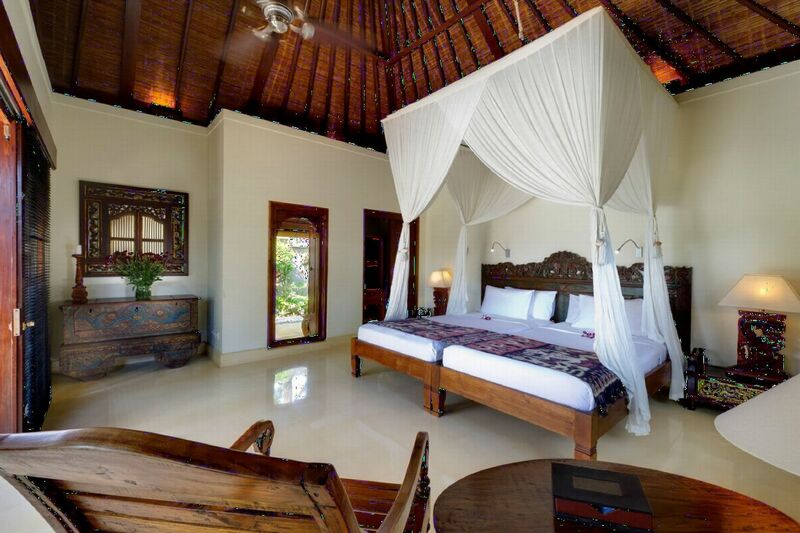 The villa and its magical surroundings will offer you a relaxing stay. 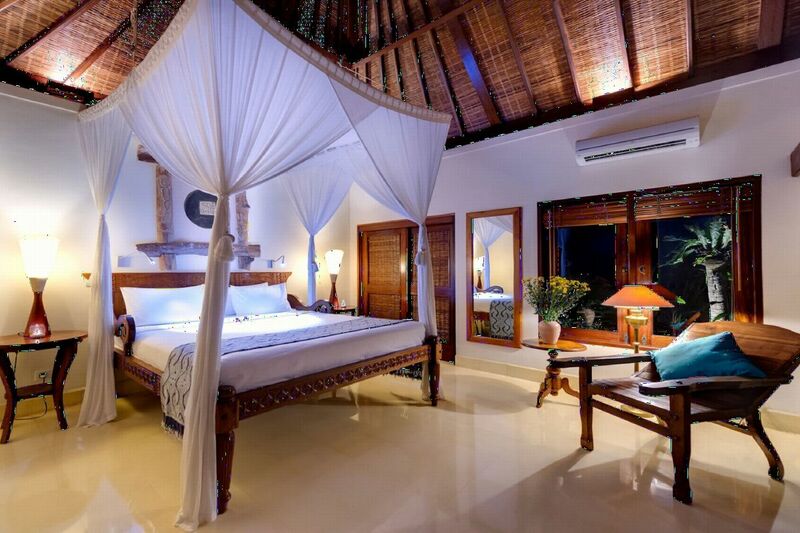 You could easily go for a walk, surf a wave and admire the sunset over the azure sea. 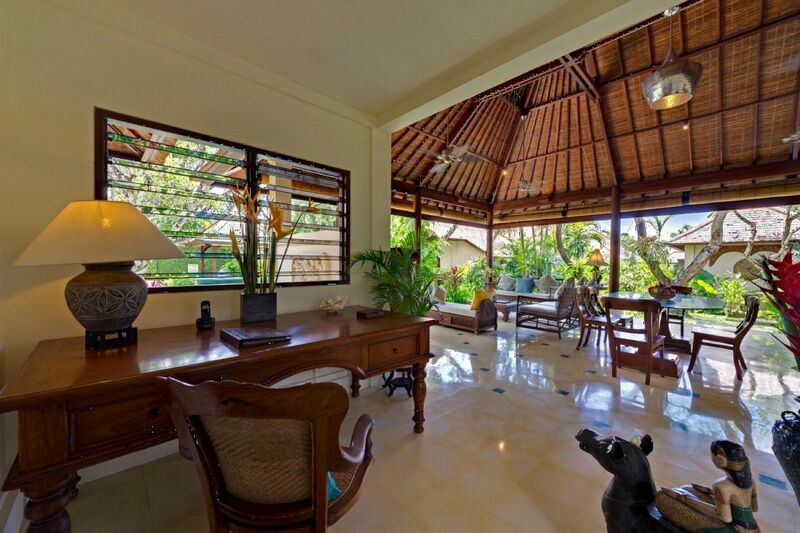 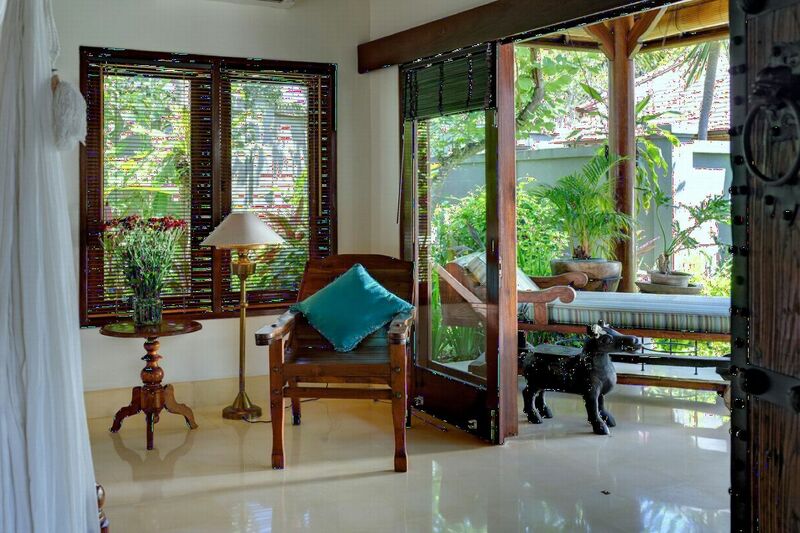 Villa Kedidi is ideally located as it is only 17km away from Seminyak, and 20km from the airport… Do not hesitate anymore, this house is for you! 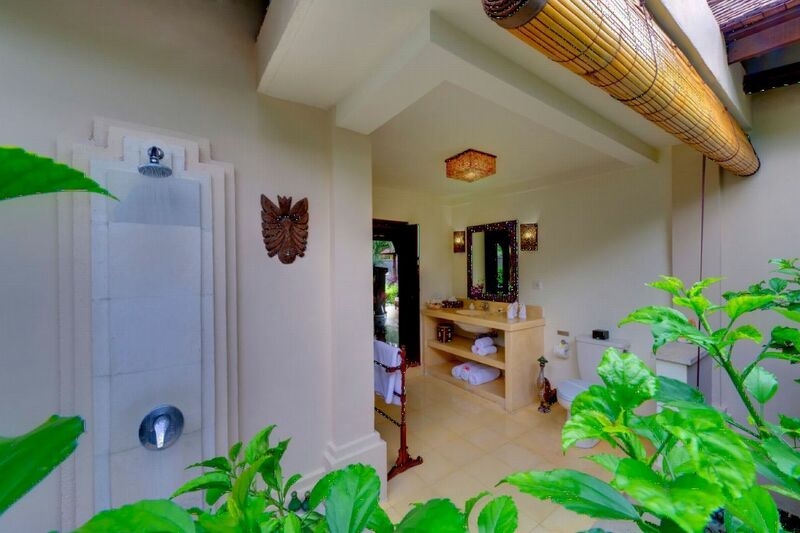 Accessible via a private road, surrounded by plants and limestone sculptures, Kedidi Villa hides many surprises. 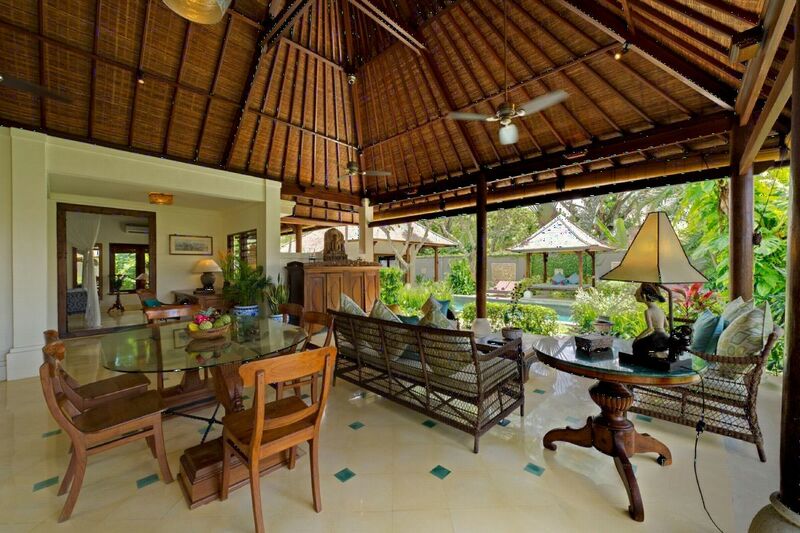 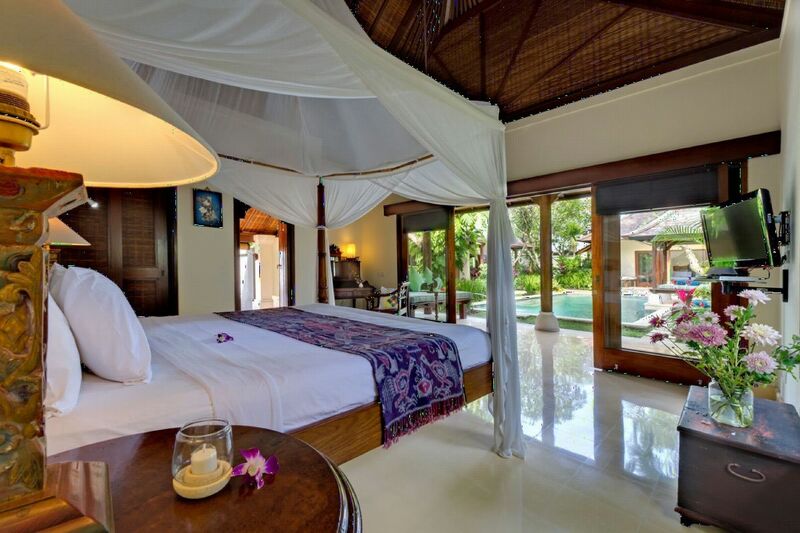 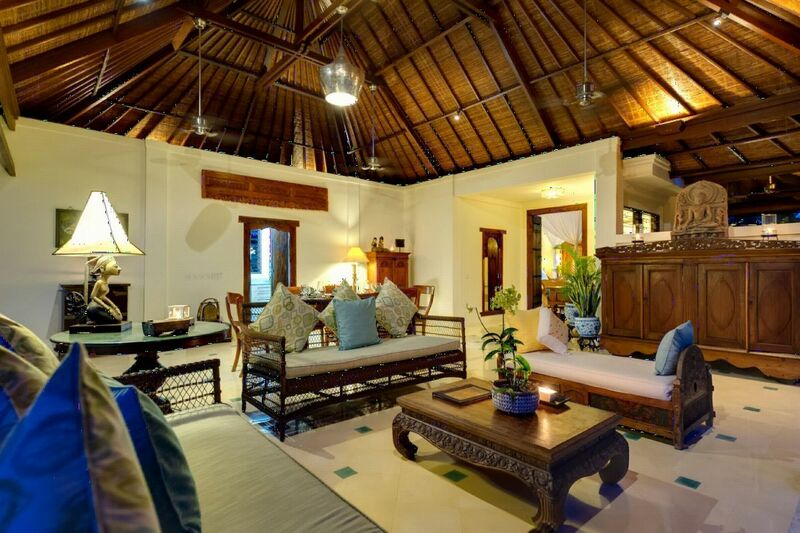 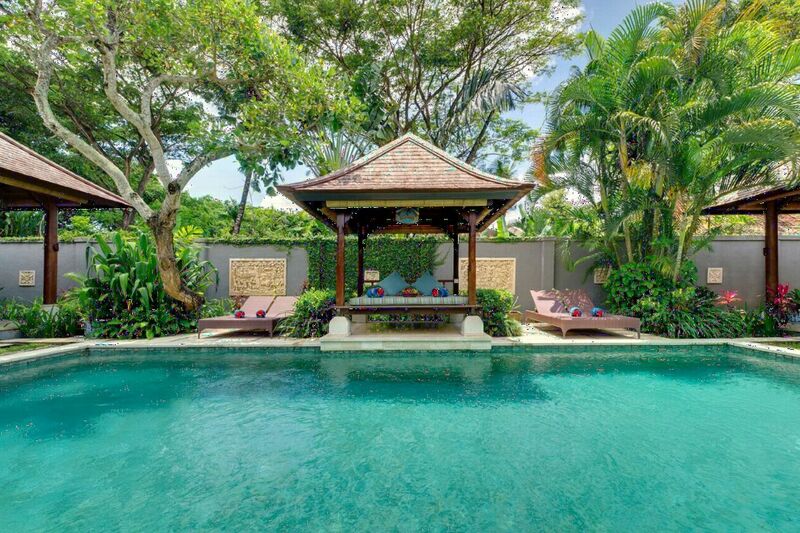 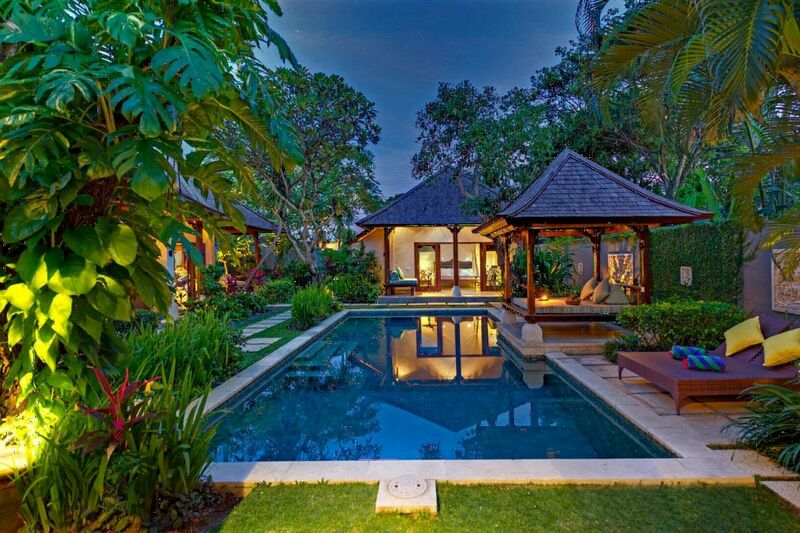 Designed in traditional Balinese style with its solid coconut beams and high ceilings, the villa is placed around a magnificent emerald green pool. 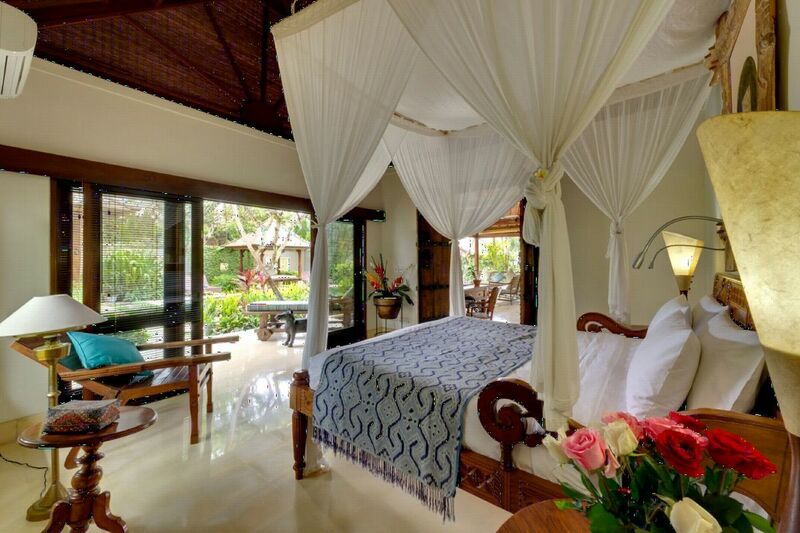 The 3 bedrooms have wonderful carved wooden beds overlooking the swimming pool and garden bathrooms. 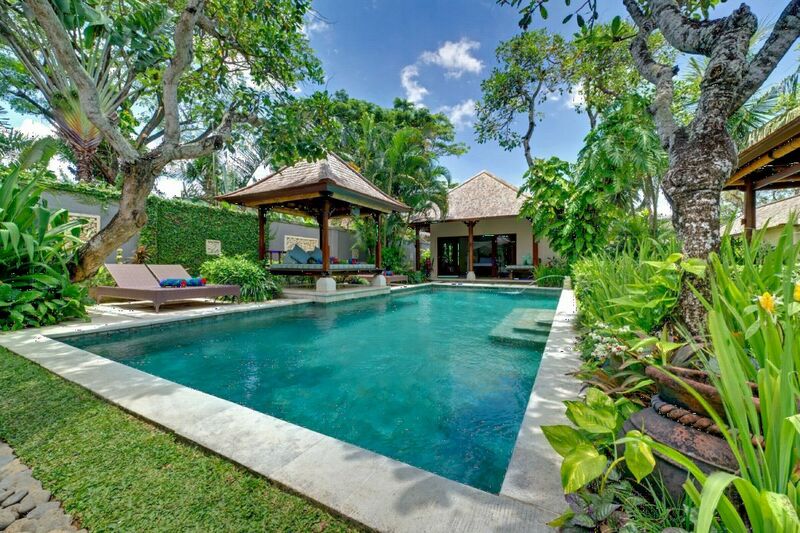 Villa Kedidi is the perfect holiday choice for families wishing to experience a taste of luxury at a reasonable price. 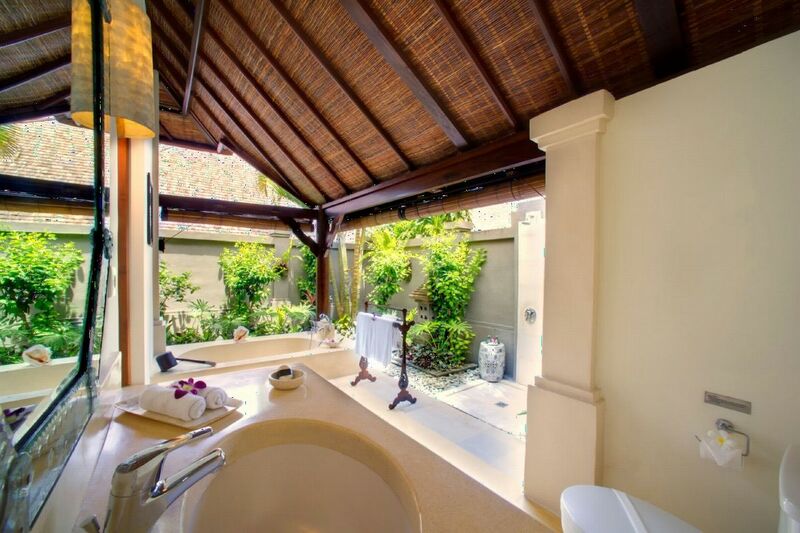 additional luxury of a tub, TV, DVD player and stereo.